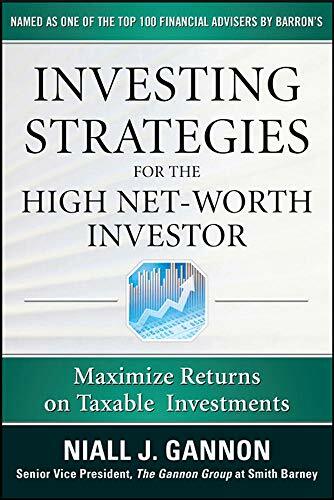 [PDF] Investing Strategies for the High Net-Worth Investor: Maximize Returns on Taxable Portfolios (Professional Finance & Investment) | Free eBooks Download - EBOOKEE! Description: A proven model for achieving high returns on taxable investments Investing Strategies for the High Net-Worth Investor showcases an investing approach that helps readers understand the unique challenges and opportunities that wealthy families face when building a diversified portfolio for multiple generations. Renowned private wealth manager Niall J. Gannon offers a framework for investing in tax friendly asset classes. Readers will gain critical insight for building a solid portfolio. No comments for "[PDF] Investing Strategies for the High Net-Worth Investor: Maximize Returns on Taxable Portfolios (Professional Finance & Investment)".